Note: Posts may be periodic for a few days as I am travelling with my daughter May and her husband Seth Bernard (and their whole band) helping with the release of May's new album "Where We Are." 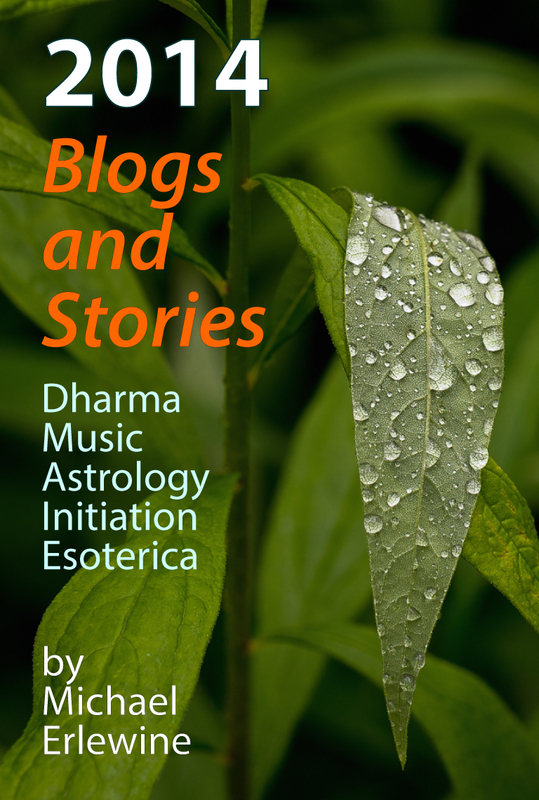 Meanwhile, here is a collection (free download) of stories and blogs from 2014. It is at this link. What makes the difference is our "view," the way we look at things, our vantage point. That is what is constantly changing. In fact, nothing physical has to change in 'what' we are seeing, only in how we see it, our attitude. I use to race sailboats (Yankee Dory) on the Atlantic Ocean at Marblehead Massachusetts when I was fourteen years old. I was the sole crew for my skipper "Beans" Marino and I have always felt that changing my attitude is like setting the sails on that boat. A change in attitude can take me anywhere I want to go. After all, attitude is everything, particularly in relationships and marriage. And physical changes like a marriage or having a child bring about corresponding changes in attitude on our part. We see life differently, from a different point of view. Wisdom tells us that things are constantly changing, yet, as they say, everything remains the same. If change is the constant, what is left for us? And the answer seems to be our view, 'how' we look at things. As a dedicated photographer I am very aware what point of view means in a composition. In most photos there is one point of primary focus, but there is an entire focal plane embedded somewhere in that photo. If we orient our lens so that it is parallel to that focal plane, then suddenly every point on that plane is in focus. That's what copy cameras do. That's an analogy as to how I look at spiritual views. I perhaps can see only a single point, but a more realized being may see the entire focal plane in perfect focus, and multitudes of such planes at that. I learned this lesson many years ago, not from a lama or spiritual teacher, but from the writings of one of my favorite writers at the time, Franz Kafka. It was a single line in one of his diaries, and it read "Each line I write, it already has perfection." How could that be thought I? And I puzzled on that for years until I finally understand that Kafka was referring to his point of view. Instead of working feverishly on improving his writing skills, he worked instead to improve his mind and vantage point. From a unique vantage point, every sentence he wrote had the flavor of that unique view. For me this was a pivotal realization. And like my analogy of taking in the whole focal plane with a camera view, what Kafka wrote had the character and perspective from where he stood, from the standpoint of what he had achieved – his view. Perhaps his writing had a 3D quality or some way that his readers could sense something complete in his attitude. His view touched everything he wrote. I don't want to push this point, but only to suggest that views vary and if we do somehow achieve a more realized view, then more of everything falls into place or focus. From that point anything we do speaks volumes. Isn't this exactly the kind of thing that the Zen Buddhists point out? It is not so much what you do, as how you do it. Another way to phrase this is that our goal is not something way down at the end of the line to eventually reach (like death), but rather something to be reached in every instant in the way we go through life, in our attitude. In other words, where we go is how we go. I don't know why I spend so much time trying to express the inexpressible when I know that at best all we can do is point 'at' it. But I like company, looking and pointing at it together, sharing what I am pointing at, even if it is nothing any of us can quite express. It is enough if together, like a school of fish, we are all pointing in the same direction. 'We' know what we are pointing at. That is enough. In Tibetan Buddhism, view is everything, and all dharma practices exist only to support the enlightened view. I have not reached that kind of view, but I have learned our view dictates what we see.